Like to discover the grandeur of the great French wines with an Aussie Vin de Champagne Awardee and Master of Wine? Then jump on a Gallic grape escape with Uncorked and Cultivated. The brothers Fourny-Charles and Emmanuel were in town this week. And what an impression they make as grower Champagne makers. 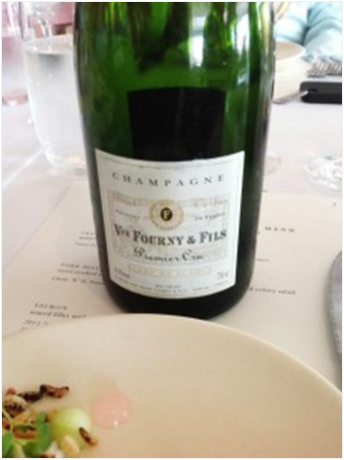 There is passion in every word they speak about their champagnes-the personalised stuff. They come from Vertus, a chardonnay growing town at the very south of the region -les Cotes des Blancs which dominates chardonnay plantings in the Champagne region. Charles tells me his forebears started the brand in 1856. But now, as his dad Roger is no longer around, and his mum is responsible for the business, Veuve (widow) is a good name as many houses before have done. What is the champagne of the house? VeuveFourny Blanc de Blancs Brut Vertus Premier Cru (AUD 54) which is non vintage chardonnay really. In a very big way, this is how I judge the quality of the house-by its standard non vintage-which incidentally takes a lot to put together by Emmanuel, as I heard from his description. The company owns 30 plots which act as small vineyards, and annually harvests these as 60 parcels of grapes to meticulously separate and evaluate the base wine results. This is the small grower mentality whereas a big maker like VeuveClicquot in Reims would put all the Vertus origin premier cru chardonnay grapes in one big tank-call it Vertus. The separate qualities, or the ability to recognise great portions of any vineyard, are lost. Where this process of retention of small batches comes into its own is because VeuveFourny have accumulated lots of old oak barrels, so portions as small as 300 litres can be kept aside for blending into higher quality cuvees (blends). It goes further than that. 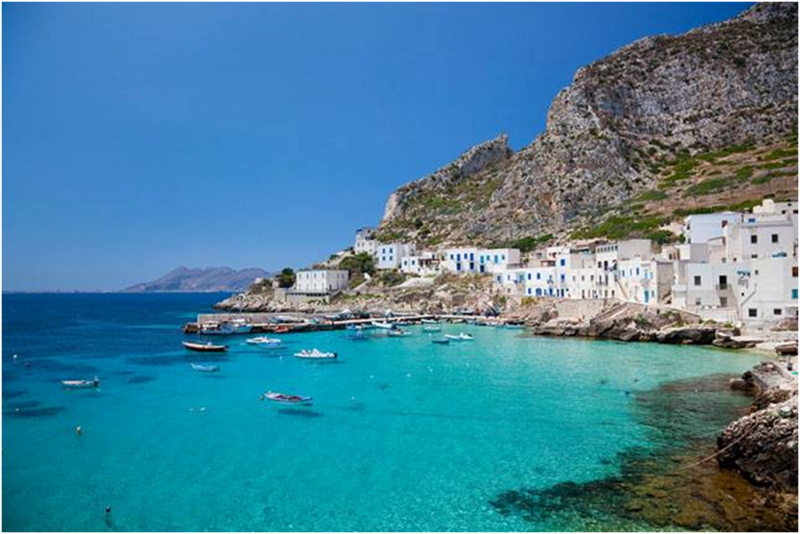 Often people from one French region never visit another adjacent one, however close, ever in their lives. In the case of the Fournys, one nearby region is Burgundy. particularly in his more natural rather than clinical ways of not filtering some lines yet avoiding some of the nasties which can develop from ignorant natural winemaking. The second wine which pairs with the Blanc de Blancs is Grand Reserve Brut Vertus Premier Cru NV (AUD 54) which is Pinot Noir and Chardonnay; having a high addition of reserve wine (30% from 2008) whereas the current wine is based on the 2009 harvest. 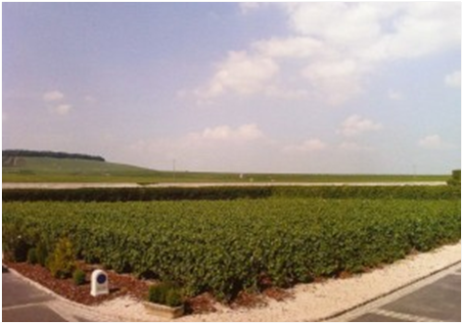 Emmanuel’s trips to the white burgundy areas which work specifically with chardonnay clearly reflects in his winemaking. This is significant, to see champagne chardonnay and white burgundy mindsets working in the same cellar at making more interesting Blanc de Blancs champagne. 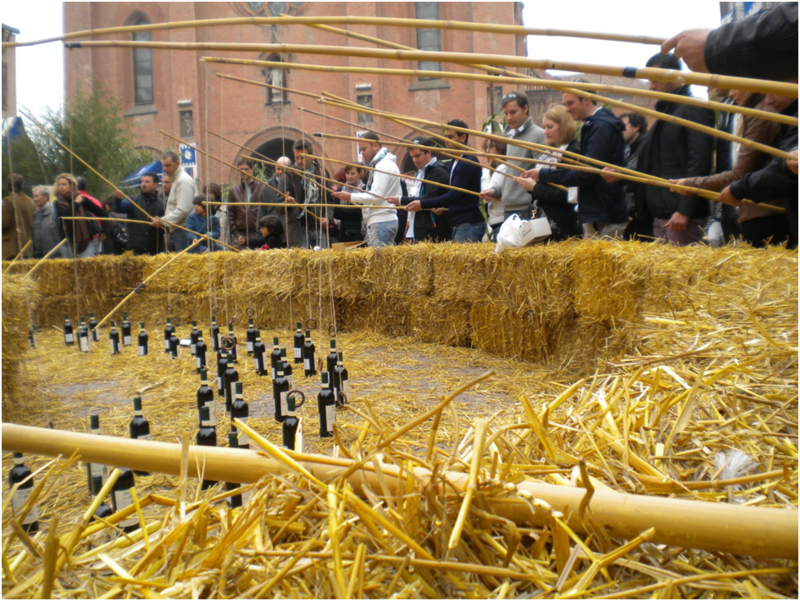 This activity also contributed to Emmanuel being named best “Young Winemaker in Champagne” from a popular local vote for 2012. But that is the edge which grower Champagne makers need-to separate them moreso from the big brands which take away vineyard origin by massive blending. 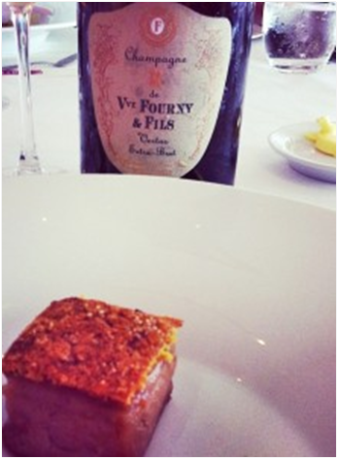 Note also that VeuveFourny do not use pinot meunier-the most widely planted champagne base wine variety in the region. VeuveFourny Cuvee R Extra Brut (AUD 70)- a tribute to the brothers’ dad Roger; based on 2008 vintage wine, and made very intensely, having an amazing nose of yeast and funky yeast adjuncts (additional nose interest); then a great line of acidity, lively and taut. Low sugar at 4 grams per litre. 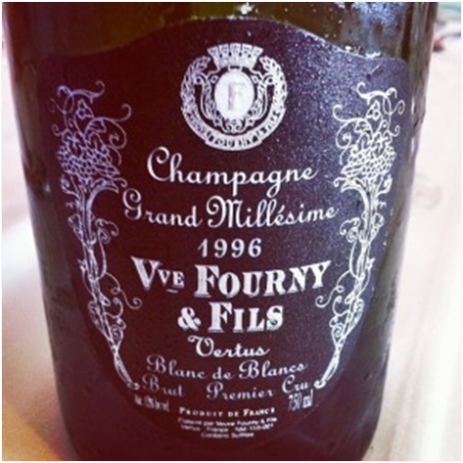 VeuveFourny Grand Millesime Brut Blanc de Blancs 1996 -just to remind guests just how good aged vintage bubbles can be, not often for sale; a pristine, touch of brulee, lemony old chardonnay with decades to go; recently disgorged to show its great style. 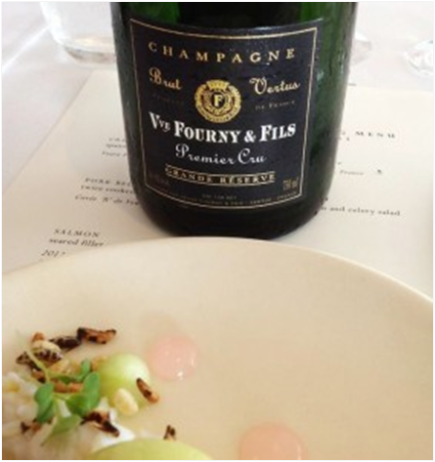 VeuveFourny is a leading grower Champagne maker of chardonnay bubbles. Look out for them; or other brands which lead this charge-Agrapart (Avize-chardonnay), Larmandier-Bernier (Vertus and other chardonnay villages) and Egly-Ouriet (Ambonnay-pinot territory). Ryan Aggiss called. It is just a year since he had won The Wine Society Young Winemaker of the Year (and another is about to be crowned). At that past time I interviewed Ryan and tasted the wines which catapulted a young local Margaret River man from Flying Fish Cove winemakers into the national light. He was both humble and helpful about his wines as regards the style. One wine was a recent unwooded chardonnay (2010); at the time it was a bit of a worry about where the judges were thinking, yet also an endorsement of where the fruit in this region goes even uncluttered with barrels and little lees. The Wine Society show some vision as Ryan was the recipient of some funds to travel elsewhere to hone both knowledge (sensory that is) and skills. He chose Burgundy, with an emphasis on chardonnay. Out of the fray comes Flying Fish Cove Wildberry Reserve Chardonnay 2010; 12.5%; (USD 30); ++++1/2; superbly pale which is the demand today for top chardonnay from any place, restrained, lemon oak cedar, hints of funk which blew away, good nose which makes you work as it evolves over 6 or so hours, palate composed so fruit is not obvious, there is more artifact wrapped around flavour bits, no primary hit is overdone, then drying oak and palate, acid linearity, a fruit lift at the finish and a great coil of dryness. Masterly. A good year. OMG alcohol is low. Many people such as Di Cullen, Mike Peterkin, Robert Mann and a host of other makers in the region are down the path of searching. Some have a result which pleases. “Are we dreaming if we think we can replicate the finesse and style of the world’s finest region, Burgundy? The 2010 Wildberry Reserve Chardonnay is hand selected from a long term Wilyabrup grower, based on clonal attributes, acid balance and flavour/sugar balance. Picking the fruit just under the 12 Baume mark allowed the eventual free run juice to show restraint and elegance, minimal colour and provide a tract of acid straight down the centre of the palate. The juice was then settled over night, racked and then “dirtied up” with collected juice solids and placed onto 8 barrels, 2 of which were new French oak, 4 were 1 year old French oak and 2 were 2 year old. The wine: was it what we thought it would be? Do we yet have the balance of all the attributes that will truly begin to carve our own piece of history within this great region? Well I think we are beginning to compile things together, play on the strengths of the vineyard and show respect to the fruit. I think Ryan Aggiss and the team around him is on the money. Many Australian makers now chase this mix; more angular acidity is a feature-even if it is to compete with the ever-present and overly acid New Zealand sauvignon blanc which is bearing out like a rash. 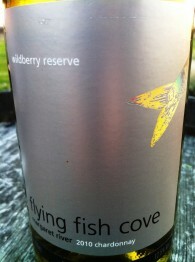 Flying Fish Cove Wildberry Reserve 2009; 14.5%; (USD 30);+++++; not super deep colour, but with purples, composed, nose savoury, importantly no herbal notes so the ripeness was nailed, tobacco and cinnamon, oak recessive, palate compact, again savoury, impressive tannins that give backbone, not extra dryness, in a good space with fruit holding the wine a long way on the finish. Impressive. Expect to see this brand star. 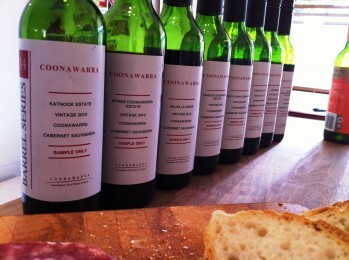 Coonawarra remains one of the best places in Australia to grow cabernet sauvignon. So the annual barrel series auction conducted on October 15 is a time to celebrate all Coonawarra cabernets. Buy some if you wish by having a bid. It only has to be five dozen. Average auction price per bottle is around USD 60. 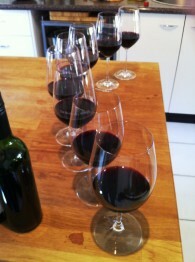 This year eight makers are participating so I had the occasion recently to taste a barrel sample of each cabernet 2010. 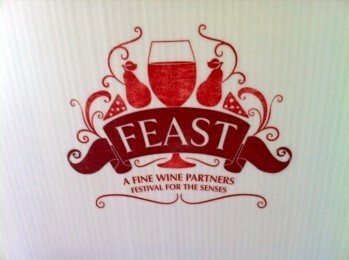 Wines will be bottled around February 2012 and delivered to the happy bidders in May next year. Wines are tasted and reviewed in order of my preferences. In all cases as a style of cabernet which has good potential to age as that is the primary construct to hold an auction of the region’s most age worthy grape. The anchor flavour in this 2010 cabernet group is mint, subtle, menthol like, sweet, green, wintergreen, just a lovely sweet fruit flavour that conveys refreshment from the wine. It bobbed up many times as an underlying cabernet flavour. Another pleasing character about both this vintage and the means of making these wines, and selecting the barrels for auction, is the path beyond just big, boisterous fruity wines displaying oak dominance or a large aging-in-barrel footprint. I appreciated wines with ripe fruit aromas (they all had it) and integrated nose character, little poking out, and an element of savouriness on the palate to be accommodating towards food. Tannin of course is a given, that’s cabernet. Majella barrel; ++++1/2; aromatic oak which emanates sweetness; black fruits and black pepper, oak sweetness, seaweed, very, very, tight tannins which are good, compact as a palate, mint, aniseed, a very composed wine, like the medium body; 2017-2020. Parker barrel; ++++; spicy, earth, savoury, grand oak sweetness, all about subtlety, chocolate oak on palate, the ripeness is spot on and the spice/savoury traits say this has been excellently thought through in production, softer style, not very tannic so able to be drunk earlier; 2015-2017. Brands barrel; ++++; earth, cedar, seaweed, oyster shell (developing complexity), oak, actually woody, mint and plum, plump in the mouth, not an oak day but firm-forming tannins which stamps it as cabernet, lots of concentration, 2017-2020. Zema barrel; ++++; cumin/spice, savoury, oyster shell, complex and smart, slippery in the front of palate, glycerol, very ripe, richer, high alcohol style, mint, high in tannin and long backbone, 2018-2022. Wynns barrel; ++++; cedar, berry, oak concentration, big on oak and quite drying, good, dusty fruit, warm on the finish, trending towards 14%, will always have oak presence, drink 2018-2020. Katnookbarrel; ++++; earth and plum, low oak perceived, some good funk, savoury, has the classic mint/spice, lots of tannin, tight and warm, about 13.5%, drink 2017-2020. The Menzies barrel; +++1/2; cinder oak, very sweet nose, lots of tannin and syrupy texture from ripeness and alcohol, has lots of dryness and brooding flavour to find, a long time until it softens, mild flavour lots of extract, drink 2018-2020. Lindemans barrel; +++1/2; leafy, straight varietal nose, currant plus oak, slippery in texture from high ripeness, big cedary palate, lot of fruit and mint, fruit style, drink 2017-2019. Bids for any parcels are entertained by auctioneer Mark De Garis 0n +61 8 87372695. Ran into a old friend recently-Cockatoo Ridge, a brightly-painted corporate brand created over twenty years ago and now powering under a new owner. The wines have always carried the livery of an Australian critter-the sulphur-crested cockatoo, and remained respectable value for money. Geoff Merrill was the original creator. Their origin lies in the South Australian Riverland, now better known as the Murray Valley, and included in the clutch was a terrific sparkling, non-vintage white. The bubbles range has been expanded now. About a year ago, a distressed Cockatoo Ridge was bought by the Riverina-based Beelgara wine group, and now it is flying up there with new life. 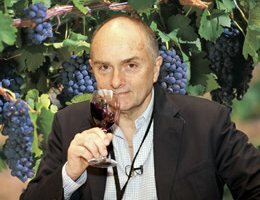 I caught up with Cockatoo Ridge’s South Australian-based winemaker, Rod Hooper, during the recent Fine Wine Partners swoop in Brisbane with their Festival for the Senses extravaganza. 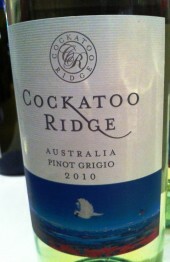 Cockatoo Ridge Pinot Grigio 2010; 13% (USD 9.50); +++, has bright colours for this grape which may go brassy, not this one, lots of pear on the nose to remind that this is varietal, then a clean, dry, fruit-cup taste with lots of nectarine grip and juciness. Drink very cold, it’s rejuvenating. Cockatoo Ridge Semillon Sauvignon Blanc 2010; 12% (USD 9.50); +++, is pale as I’d expect, very much in sync with modern crisp whites, it shows the lower alcohol and zippy acidity I’d expect of this style, has the greenness that the palate needs to remain acid-austere, it clicks, 80% semillon and still tight. Cockatoo Ridge Chardonnay 2010; 12.5% (USD 9.50); +++, has pleasant appeal, the modern type, unwooded, but succulent and not over-peachy from six months on its yeast garnering up some nice nutty flavours, good austerity which new chardonnay drinkers (no fatness) and all-round good stuff. Cockatoo Ridge Moscato2011; 6% (USD 9.50); +++1/2; this wine sings, the new vintage made from frontignan blanc, a muscat variant, oozy, juicy, low alc in sync with the style which pleases drinkers of the wine, smaller headaches, lots of barley sugar ripeness flavours, slightly fizzy (frizzante as the Italians say), clean and neat (120 g/L sugars too). Cockatoo Ridge Chardonnay NV; 11% (USD 9.50); +++; the standard bearer for the brand, value bubbles, this a blend of two chardonnay years, 2010 and 2011, a good sparkled white wine, some brassy colour because 10% of the wine is shiraz, good fizz grip and fair dryness (14 g/L residual), closed with the resealable Zork cap which has gained popularity. Anything without cork is a blessing. Cockatoo Ridge Black NV; 13.5% (USD 9.50); ++++; a terrific wine, jammy notes and creaming over with flavour, just great, a cabernet merlot shiraz blend with a range of great components (some Coonawarra 2007) to give it a value proposition. Sweetness is 35 g/L. Cockatoo Ridge Shiraz 2008; 13.5% (USD 9.50); +++; competently-made, lots of aromas of plummy shiraz which is the varietal personality in warm growing regions, plump in the mouth and softly drying. Has cred and flavour, drink now only. 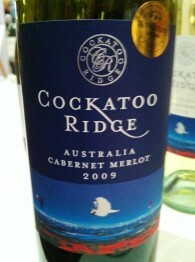 Cockatoo Ridge Cabernet Merlot 2009; 13.5% (USD 9.50); +++; minty, sweet anise and jam, low oak on nose, palate has black fruits and gentle tannins, red wine for those enjoying milder cabernet or repeat business, plump and fruity. Rod Hooper says: “My winemaking philosophy is to make technically very good wines that have honest expressions of varietal fruit” which is a pretty good quote from a fellow who once made wine for an Australian wine college. And that’s how the wines come up. Recently I went along to a “Northern Italy Trade Tasting” as there was appeal of the wines from Piedmont; new whites from a solid but not widely-tasted 2010 vintage, and even the odd young nebbiolo, barbera and dolcetto. At least there was some stability in these Piedmontese varieties used, as I write the makers of Rosso di Montalcino (their second tier red) are voting on the adulteration of its sangiovese content (currently 100%) with international varieties (cabernet, merlot, syrah et al). This is a pretty pointless exercise. Just because some producers were supposedly caught out dosing up their Brunello di Montalcino (the big tier wine) in the Brunellogate scandal with the 2005s, does not give cause to legitimise the practice across the region. It’s quite amazing how vested interests take over when these insecurities are exposed. 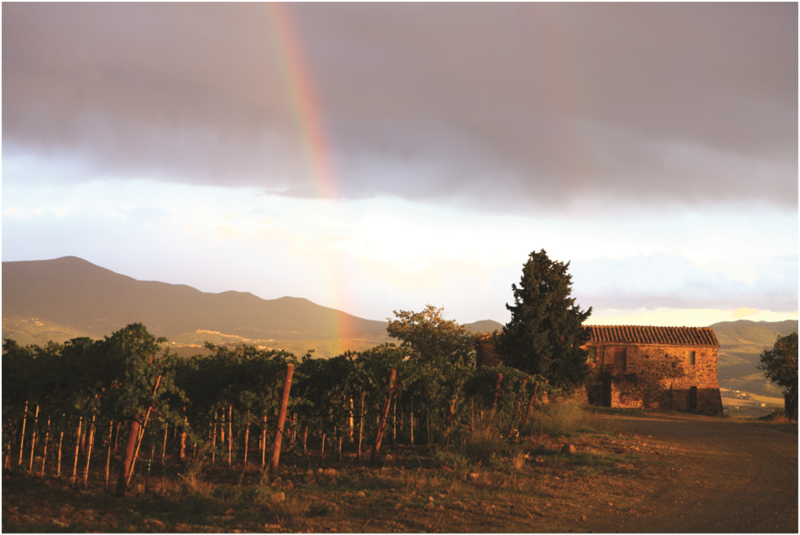 The same producers can take properties on the coast around Bolgheri or Maremma where the international varieties are excelling in their viticulture, and proceed to make these new wine styles. Adding international varieties to sangiovese might improve the style but it also dilutes, or adjusts the natural texture of this grape. And after all, what has Brunello got to sell. Sangiovese grosso if I recall! The same discussion goes for Piedmont. The most respectable and respected wines of the region are nebbiolo-bound. Some Langhe nebbiolo may contain up to 5% barbera, a native grape of the same ilk (non-international) and that is more likely a positive aspect. Conversely it would not hurt Barbera d’Alba or Barbera d’Asti to contain 5% nebbiolo as a small positive contribution, adding much needed tannin. 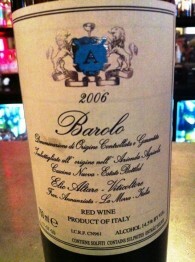 Although the 2007 Barolos and Barbarescos are trickling into Australia, there are still many 2006s on sale. Gavi di Gavi (Pio Cesare) 2010; 12.5% (USD 28); +++; nice wine, lemon fresh, unwooded cortese grape, pale and full of expression, has great natural character and clean lines of flavour, nervy acidity, yes, but that is what’s needed. Four months lees aging. Dolcetto d’Alba Visadi (Domenico Clerico) 2008; 13.5% (USD 31.75) ; ++++; terrific wine, fabulous nose of obviously ripe fruit which carries drinker interest, lovely soft crunch in the mouth alongside the racy acidity, volumes of fruit and attraction. Outstanding example from Monforte d’Alba. Langhe Rosso Ill Nebbio (Pio Cesare) 2010; 13.5% (USD 44) ; +++; this is pretty simple, cherry-plum fruit, aromatic in fruit and therefore very modern (carbonic maceration), little presence of the black fruit aromas which I associate with nebbiolo; earlier harvested fruit is the answer, stainless steel-made, a few chewy tannins as usual, a good scope for the 2010 vintage though. 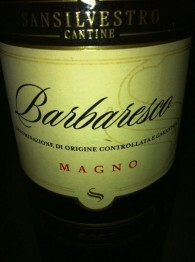 Barbaresco Magno (San Silvestro) 2007; 13.5%; (USD 40.50); +++1/2; modest aromas but very fresh and modern, little oak aroma but very understated, large cask aged; taste has silk rather than grip for nebbiolo, shows how well Barbaresco performs in a sunny year with such plush tannins; they are there but they are not there! Texture soft, flavour plus, plummy then final dryness. 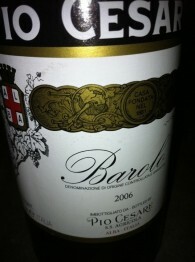 Barolo (Pio Cesare) 2006; 14.5%; (USD 125); ++++1/2 ; a big wine now developing personality; lots of barley sugar aroma of maturing Barolo at high ripeness, starting to dry out and show its power, partly traditional style of multi-vineyard blends; plus the oak. Now tasted four times since release, every time better and increased depth; a great ager. Barolo (Elio Altare) 2006; 14%; (USD 151); +++1/2; a single commune producer from La Morra, this a blend of La Morra and Castiglione Falletto, shows lots of age as nebbiolo can, leaf, tobacco, the herbal notes which keep its aromatic attractiveness, lean and tannic on taste, now on the drying out phase, drying tannins of nebbiolo surrounded by the acidity; good wine. The monthly wine tasting for Master of Wine aspirants was Spanish varietals, and a good few were tempranillos. This is becoming increasingly popular down under with the spread of jamon, tapas serves, Iberian plates, El Bulli, manchengo and the wonderful wines of Spain (all varieties). Australians have to be content with drinking Spanish-made Rias Baixas from albarino because the grape was wrongly introduced; now we have to sit it out until 2014 when quarantine has been completed, propagation done and the true vines start to flower. Wines are reported in order of enjoyment and it was no chance that a wine from Roda in Haro figured highest. 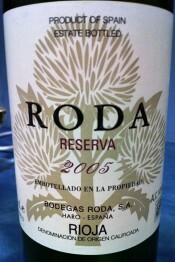 Roda Reserva Rioja 2005; 14% (USD 140); ++++1/2; still dense, a little of the violets are wearing off, yet it remains so full and alluring; substance, just smells of fruit intensity, then oak-fruit complexity which gives you a nose full, power on, the taste was just starting to settle the fruit above the oak, a matured flavour which shows up the crunch and angular nature of tempranillo. Overall a savoury endpoint which emphasises the enjoyment of this as you eat. Is 85% tempranillo, 9% graciano and 6% garnacha. 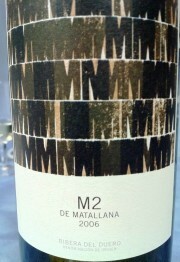 M2 de Matallana Ribera del Duero 2006; 14.5% (USD 95); ++++; dense purple colour, magnificent and startling to see, really meaning a serious drop here, the nose is a little reductive from aggressive use of barrel fermentation, lots of salami by-products which are non-grape, lots of oak char (to charm Robert Parker), very heavily oaked and for a prolonged period, powdery texture meaning more time to settle here, big shaped wine, final flavour finishes with savoury notes. A plus. This is a Telmo Rodriguez wine; all tempranillo showing the big end of Spain. 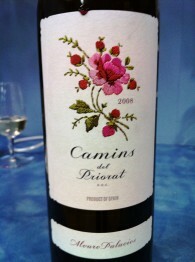 Camins del Priorat 2008 (Alvaro Palacios) ; 14%; (USD 50); ++++; is the style alternate to the hefty oak-aged reds, this has the purples of youth but none of the tempranillo density of Roda and Rodriguez; it is tight showing more is yet to unravel to smell, what there is very rural, scents of the forest, hints of cowyard, then a sweet entry, delightful softness and supple tannins, little dryness and more plush sensations, long flavoured. This is 60% carinena, 30% garnacha touched up with cabernet sauvignon and shiraz, a big blend at 50,000 cases, it sees very little new oak, and that bears out both on nose and palate, the structure being these traditional Spanish two remaining emphatic. 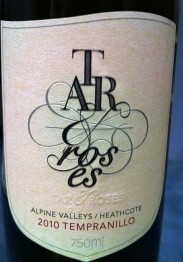 Tar and Roses Tempranillo Alpine Valleys/ Heathcote 2010; 14.5% (USD 20); ++++; inky but also very young, bright in the glass, huge fruit, huge oak influence, burlesque, fruit is on the sweet side, cake like, lots of tannin from oak, to the extent of creating a powder dryness in the mouth, excellent, can see the cold soak and maceration performed here, long ager, now a baby. Made by Victorians Don Lewis and Natalie King. This is terrific value, and the 2010 vintage is a screamer. Hercula Monastrell (Bodegas Castano) Yecla 2001; 14% (USD 25); +++; was super, now an aged russet colour with the edges browned yet the aroma was heaving with black fruits character, the unmistakable genes of mourvedre/mataro, palate deep, sweet fruited and stern. A great mature example.